Getting to the Sandton Convention Centre is a breeze. 15 minutes by rapid-rail Gautrain from OR Tambo International Airport to central Sandton. 35 minutes by road from the airport via courtesy bus, hired car or airport-approved taxi, bus and shuttle operators between Sandton and the airport terminals. Ample parking in and around Sandton with nearly 11,000 parking bays in the adjacent Sandton City and Nelson Mandela Square malls. Plus an additional 300 parking bays directly beneath the Sandton Convention Centre. 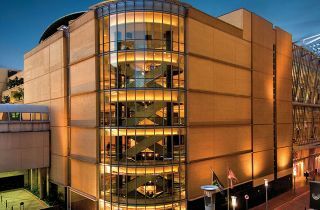 Does the Sandton Convention Centre offer a complete conference package? 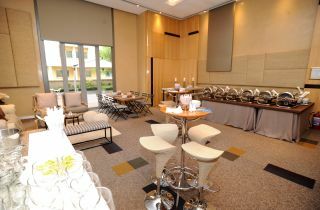 The Sandton Convention Centre offers a complete conference package, including accommodation for out of town delegates. Please complete our enquiry form and one of our staff members can provide you with the best options. For event planners and conference organisers, the 12-storey Sandton Convention Centre is the ideal venue for hosting an event. With 22,000m2 of adaptable space and several venues with different capacities available, you can host a meeting for 10, or a concert or theatre performance with up to 4,500 guests. Does the Sandton Convention Centre cater for different dietary requirements? Yes, absolutely. The Sandton Convention Centre can provide kosher, halaal and vegetarian menus for your delegates. Meals are created by our internationally trained chefs with the freshest ingredients and meals made for special dietary requirements are of the same enticing quality as those served to other delegates. We require several meeting spaces for different purposes, can you accommodate us? Yes, we can. 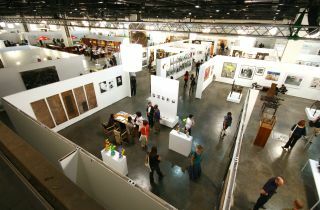 The Sandton Convention Centre has a variety of spaces available. 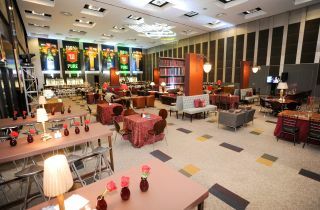 Our venues are flexible and can be arranged according to your requirements. Mobile interior partitioning allows for a variety of different configurations and soundproofed interior walls ensure that multiple events can be staged, without disturbing other delegates. There are also several boardrooms, meeting rooms and breakaway rooms available. How far is it from the Sandton Convention Centre to the delegates’ accommodation? 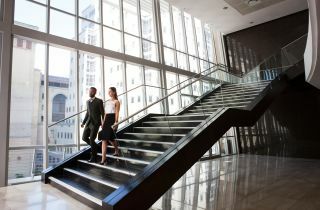 As part of the Tsogo Sun Group, the Sandton Convention Centre can provide accommodation for your conference delegates in hotels adjacent to the convention centre, within walking distance or in a radius of 5, 10 or 15 kilometres – depending on your requirements. 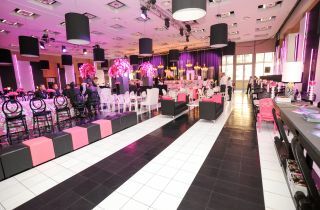 Can I book a function or conference without an accommodation package at the Sandton Convention Centre? Yes, you can choose to hire a conference facility, or a conference facility with catering, or a range of conference packages which include venue hire, catering and accommodation – all depending on your requirements. Bookings are subject to availability. Depending on your requirements and size of your conference, you may need to book further in advance. Please make an enquiry and we will discuss the options available to you, for your desired time period.